Your best makeup is your gorgeous Smile! Love the look! I concur with Lucille. I also want to say for sure to get all the makeup brushes recommended. It’s sooooo much easier to do makeup with a brush kit than with the little applicators that come with the products. Also, like a good pair of speakers for the car, in getting makeup, you get what you pay for. Get the best you can budget for especially with foundation products. Facial moisturizer is a must and you have to use it every day makeup or not. It makes a difference. Yes, it’s an additional thing you have to do, but if you want to look your best, you can’t get around it. You’ll learn to accept it as part of your routine. Perhaps one other thing I’d add to the list is eye drops since most people wake up and have baby bloodshot for a usual eyecolor. 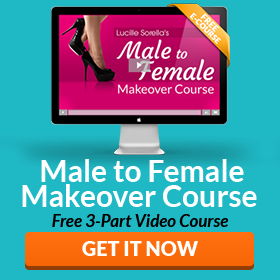 It REALLY makes a huge difference especially when you bring attention to your eyes and fem facial features. Get enough rest especially if you know you’re going out and about so you don’t have the baggy bloodshot eyes. I hope I don’t sound pushy or off color by mentioning what I have. Just talking from experience here. I LOVE doing makeup and the more facial details that look good, the better you’ll look good too. Well, I have most of the items in the list. just have a few more to get. Using makeup helps us look good, but taking care of our skin is very important as well. 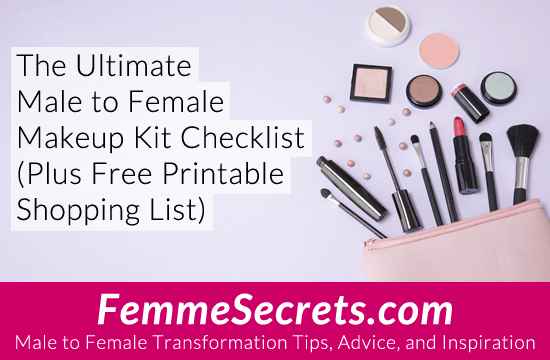 Thanks for the makeup checklist, Its something I have been looking for , I really enjoy putting makeup on and wearing it, and finding the correct makeup and makeup kit has been difficult . I was wondering what your advice on eye brows is, I know people use wax and even pritstick to cover the eyebrow and put makeup on over it , and the draw fake eyebrows higher up . I have seen the videos on eyebrows. just wondering what your opinion is Lucille and everyone else. I agree with Lucille about having and using the products she has suggested. Being a beauty consultant with Mary Kay Cosmetics I also recommend the same basic things also skin care is the foundation for great looking make-up. Start with a cleanser, not soap, use a good moisturizer, morning and night before you apply your make-up for the day or evening. Try to use products made by the same company, so they work in conjunction with each other. Make-up is the fun part, skin care is the basis. Have fun!!!! Excellent point Kelsey! Thanks for bringing that up! Want the girls to look and feel there absolute best!!! I love wearing makeup. I wear dark blue or brown eye shadows and brown or black eye liners. I use concealers when I can’t get and sleep. how to find someone do make up .show me proper way.